Every Heart an Altar is an in-depth look at the symbolism of the art and architecture of St. Joan of Arc Church. It also includes prayers that are connected with the art. For generations, parishioners at St. Joan of Arc Catholic Church in Indianapolis have been worshiping God and serving their neighbors. 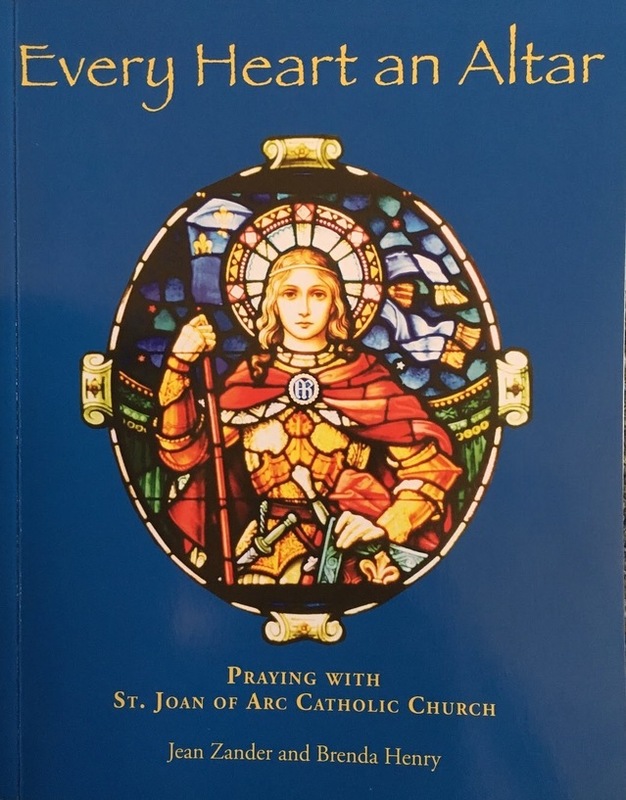 This book, prepared in anticipation of the parish centennial, is designed to be a hands-on resource for prayer and study. "St. Joan of Arc Church is a sacred gem in Indianapolois. An elegant work by the well-known ecclisastical architect Henry J. Schlacks of Chicago, the simple basilica-style church is filled with beautiful symbols and artwork. Jean Zander and Brenda Henry have created a marvelous documentation of its decoration. Much more than just a guidebook, the images, descriptions, and abundant theological reflections immerse readers in the rich iconography of this church building." ~ Duncan G. Stroik, Architect and Professor of Architecture, University of Notre Dame.